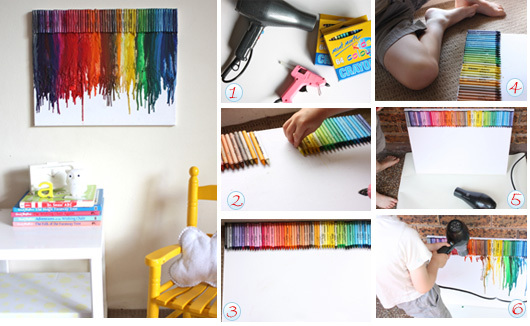 Now that there is lots of school supplies around, it's time to sit down and get crafty! Gather your supplies (Image 1). Line your crayons up across the top of the canvas; crayon tips facing downward (Image 2). Glue them on with a strip of hot glue. Color coordinate for a rainbow effect. Stand your canvas against a wall and place a tablecloth or newspapers underneath to prevent messiness (Image 5). 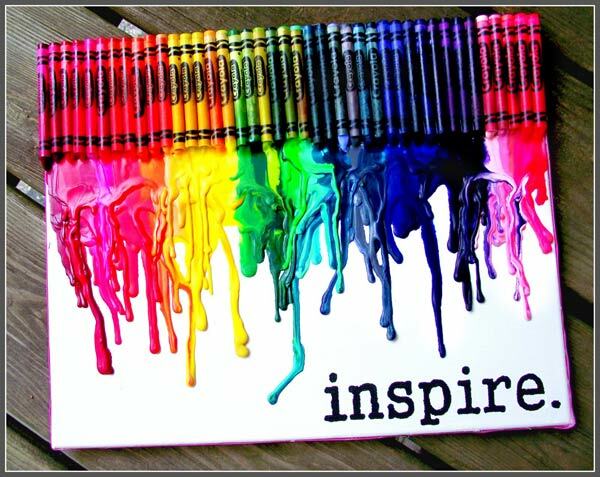 Turn your blow dryer on and begin to blow on your crayons (Image 6). Move across slowly and watch the colors roll down your canvas creating a beautiful piece of art! You can play around with the heat settings on your blow dryer as you move around. Tip: You may want to experiment a little before you start to see how your hair dryer works with melting the wax. 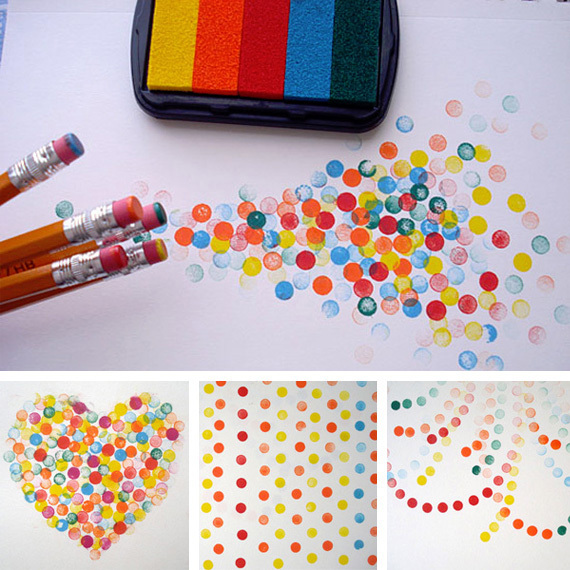 Did you know that you can get creative with pencil shavings? No need to throw the shavings out the next time you sharpen those pencils! 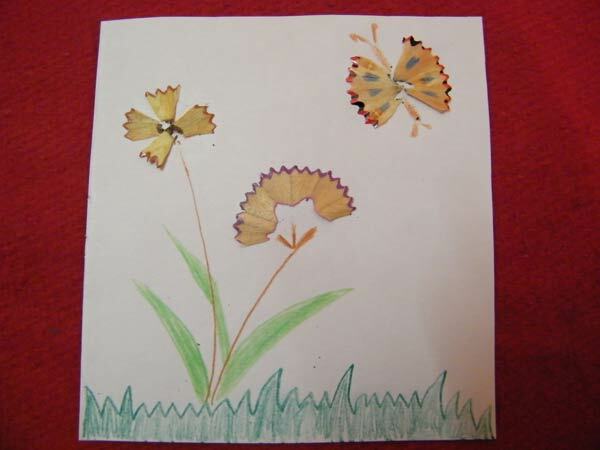 Use your imagination and you will be able to make all sorts of interesting designs and patterns. For colorful effects, sharpen patterned pencils so that you'll get colorful rims on your shavings! No more boring solid eraser tops! 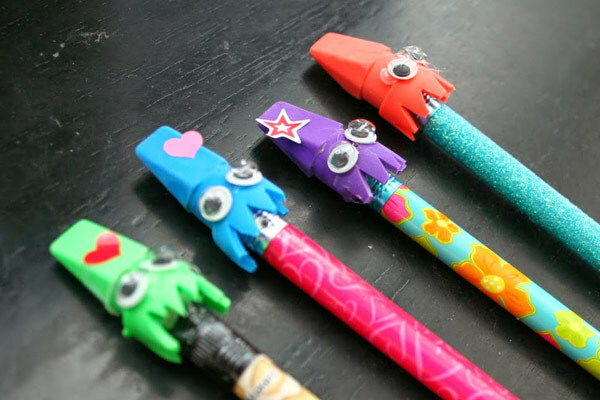 Cut some zigzags at the bottom of the eraser, stick on tiny googley eyes, and use fun stickers to create funky monster eraser tops. Kids will love creating a masterpiece out of eraser stamping. Materials needed: Some paper, a couple of pencils with erasers, and a colorful stamp pad. Dip the erasers into the stamp pad and start stamping! This is a great girly project for all ages. Purchase some fun pattered duck tape rolls. Cut a strip about 6-10 inches long (depending how long you want it to be) and double it over so you end up with a piece half the size. Fold the piece accordion style, 3 times. 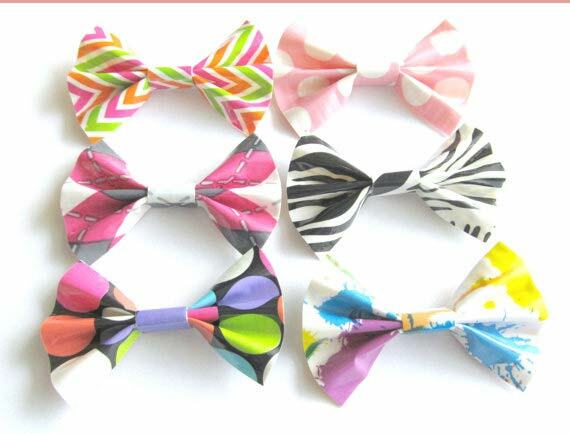 Wrap a small piece of tape around the center to make a bow! This is a fun and educational project for kids of all ages. Draw a human body on a black oak tag and cut it out. You can choose to trace your child's body for a real life-size skeleton instead. 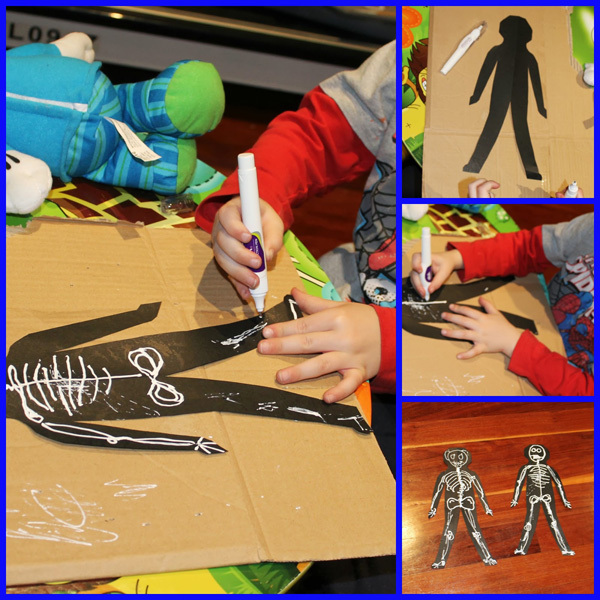 With a liquid white-out pen, help your child explore the human skull, ribs, spine, hands, feet, and the rest of his bones. Boys will love this one! 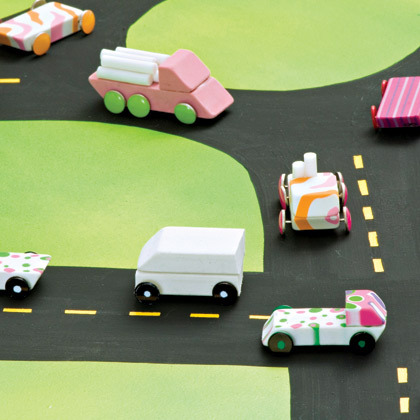 Erasers can easily become little cars and trucks. Now that's cool! (*Creativity required*) Examples: 2 white erasers piled one on top of the other resemble a milk truck...Half an eraser on top of a whole eraser make a pick-up truck...Use thumbtacks for tires and when you're done, place your cars on a makeshift road! Photos can be submitted until October 1st 2014.